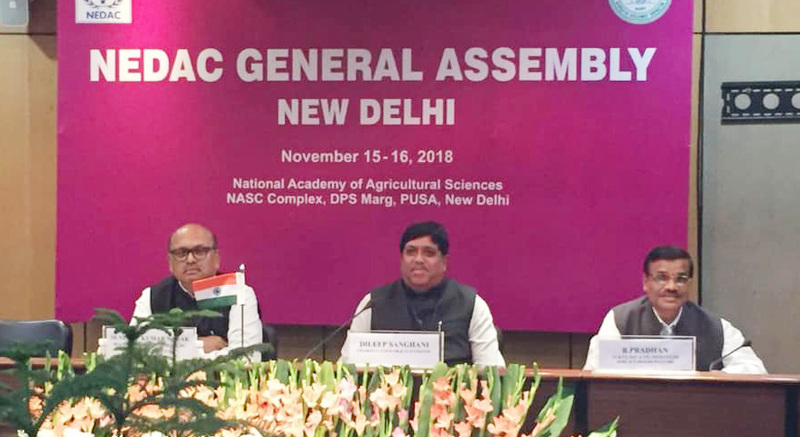 If Union Minister of State for Agriculture Parshottam Rupala inaugurated the two day General Assembly of NEDAC, it was his school mate and veteran cooperator Dileep Sanghani who gave it a finishing touch by being the chief guest at the valedictory function at NASC Complex, ICAR, New Delhi last week. 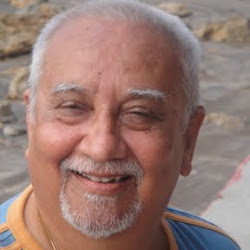 Addressing the national and international delegates Dileep Sanghani said, “Cooperatives in India have huge network encompassing almost 94% of villages; they have been instrumental in ensuring availability of agriculture inputs-the mainstay if rural India”, he added. Citing the role of co-ops in urban sector as well, Sanghani said it would not be an exaggeration to say that cooperative reaches out to most of the citizens both in urban and rural areas. 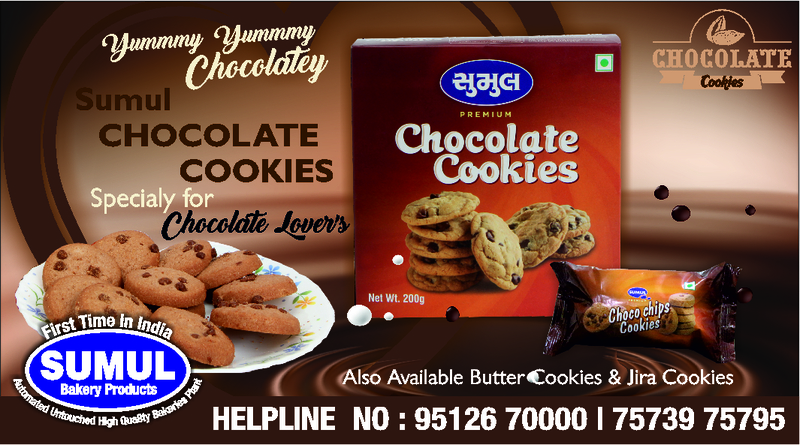 “I hail from Gujarat which is the birth place of cooperative movement in India; here, cooperatives touch almost every household. The economic prosperity of the province owes largely to the cooperative spirit of the people in the state”, Sanghani underlined. “I am sure the thematic sessions on “Cooperatives and Sustainable Goals’, ‘Cooperatives to Cooperatives trade’, ‘Cooperative and Financial Inclusion’ and ‘Capacity Development Partnerships in NEDAC’ have provided platforms for meaningful discussion”, Sanghani stated. NEDAC General Assembly was hosted by the National Cooperative Development Corporation and aimed at achieving a paradigm shift from being a knowledge sharing platform to mainstreaming of cooperatives to cooperatives (C2C) trade. Speaking on the occasion B.Pradhan, Additional Secretary and Financial Adviser, Minister of Agriculture and Farmers Welfare said Indian government is focusing more on the development of Agriculture and the PM Narendra Modi has asked cooperatives to come out with innovative ideas on doubling farmers’ income. In the general assembly, the election of BoD of NEDAC was also held. The outgoing board has been unanimously re-elected again for the term of two years. Orlado R. Ravanera, Chairman, Cooperative Development Authority, Philippines and Co-Chairman NEDAC, representatives from several of India’s cooperatives such as NCUI, IFFCO, Kribhco, NAFED, FISHCOPFED, NAFCUB and others were present during the closing ceremony. Sundeep Kumar Nayak, Managing Director NCDC proposed a vote of thanks. It bears recall that NEDAC was set up in 1991 by the United Nations’ Food and Agriculture Organisation (FAO), the International Cooperative Alliance (ICA) and the International Labour Organisation (ILO). 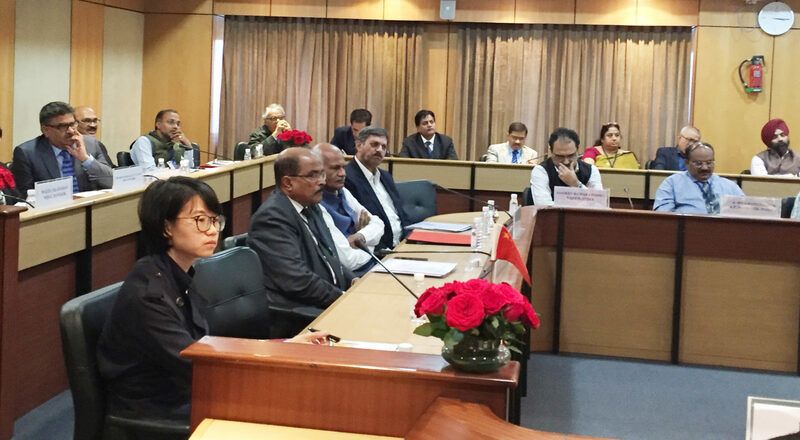 NEDAC sensitises Governments in the region on the role of agricultural cooperatives and promoting agricultural and rural development to ensure rural food and livelihood security for millions of people in Asia and Pacific.